I recently had the fortune of sitting down with a subject matter expert, Marcus Olsen, Vice President of Procurement at Leggett & Platt, and discussed risk management in supply chain and procurement. 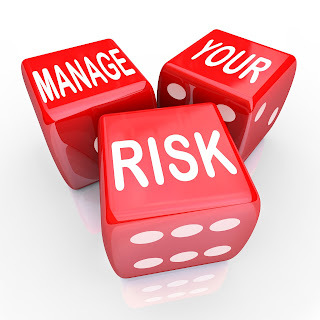 Although the subject of risk management has been thoroughly discussed for quite some time, little has changed in terms of business preparedness to non-financial risks. A recent ATKerney report, surveying businesses across the United States, has revealed that only a-third of those surveyed have a fully prepared response plan for significant shifts in their supply chain operations, meaning that the majority of U.S. companies are not prepared to face, manage, and mitigate risks to their supply chain and procurement operations. As the Vice President of Procurement at Leggett & Platt, Olsen has been face-to-face with many risks throughout his experience leading procurement operations and is amongst the few procurement executives building a dedicated team to mitigate risk. Olsen has over twenty years of experience in procurement and has previously worked for companies such as Xchanging, Panduit Corporation, RR Donnelley, United Technologies and Whirlpool Corporation in senior supply chain and procurement roles. The following is part of the insight that Olsen has shared based on his vast experience in the field. Certainly, throughout history we have witnessed many instances when action was postponed until the costs of inaction were too high to ignore. And, as a result we have also witnessed many a times, when companies took action a little too late while preemption could have saved the day. Haven’t we learned anything from the past? Today, most firms dedicate large amounts of resources to mitigate financial risk. However, within supply chain and procurement few companies understand the risks that they are facing, or that their suppliers are facing, and their impact. Few companies talk about risk in supply chain and procurement and even less dedicate resources and time to the cause. Leggett & Platt is one of the few firms that is focusing on risk management within their corporate procurement operations. Even so, Olsen insists that “risk is about making marginal and incremental improvements over a period of time;” hence, the process of building the right platform dedicated to risk management is still ongoing for his team. Since joining the firm three years ago, Olsen has assembled a risk committee, composed of procurement and supply chain executives who meet on a quarterly basis and analyzes potential risks. Olsen has further initiated a discussion on risk and has set for his team a five step agenda to be implemented over the next few years. STEP 1: Understand who your critical suppliers are, where are they located, what risks they face, who are their suppliers and the risks associated with them. STEP 2: Gather all independent and third party data on your critical suppliers. “When it comes to risk management information is power,” Olsen insists. There are many dedicated firms that can collect and provide financial, and other, information needed to determine the risks suppliers face. Firms that do not have a dedicated risk management team should take advantage of such third party resources. STEP 3: Once the independent data is obtained, identify suppliers’ risks and determine all possible ways in which it might affect your supply chain and procurement operations. STEP 4: Now that critical suppliers are identified, independent data on them has been collected, an analysis was performed on the risks they face and how those risks could affect business, next find solutions to those risks, create a backup plan, perform scenario testing, and put a process in place to observe risks. STEP 5: Implement. The implementation stage is a multi-year effort that will never be truly done as risks are always evolving but at least after taking all steps mentioned herein, you will have a sound process in place. Cyber risk – as companies become digital in the way they manage supply chain and procurement operations, cyber risk could be an immediate threat and will require more attention from procurement executives in the coming year. Slowing demand in general is an immediate risk. China’s growth has slowed down, U.S. growth is robust but it is uncertain if the trend is going to persist. Decreased demand, in conjunction with increased competition, has decreased costs and stalled the supply chain operations for many companies globally. Market uncertainty in the coming year will bring more similar risks. Interest rate hikes pose potential risks as well. Recent political and socioeconomic changes in the world make interest rates go up which puts constraints on businesses – it’s going to cost more money to make investments and if companies cannot make the investments they need to make, then they have to cut corners which will put certain parties at risk. Political uncertainty in U.S. and throughout the world brings to light the many actions that populations take against the ‘establishment.’ Direct consequences are still to be seen but there is a risk in there that we are not fully aware of just yet. Supply chain risk, similar to the one created by the Hanjin bankruptcy, will not go away in the near future. Partially, such risks are due to lack of demand as mentioned above. The lack of demand will further cause financially insecure suppliers to exit the market and we might see some consolidations amongst firms and that might affect prices, which will further create more risks. So what should we make of it all? We have learned that, historically, most companies do not even initiate a discussion about risk management in supply chain and procurement unless they are facing a direct risk. We learned that companies want to talk about risk mitigation but that other items on the agenda are prioritized which delays that conversation. And we learned that risks to supply chain and procurement are growing at a higher rate than the incremental changes in company preparedness on risk management. At the end of our interview, Olsen mentioned that risk mitigation in supply chain and procurement should start within the procurement department, since the purchasing team is buying all these services from suppliers, risk mitigation should be an included service into the total cost. “If we look at risk from a portfolio perspective, then the supplier should provide choices based on a risk portfolio. All those things go into the total cost of ownership.” The procurement department has therefore a tremendous role, and a lot of potential, in making those incremental steps needed to put in place a risk management and mitigation process within each company. Next time when calling a supplier, going to an RFI, or before signing a contract, ask the supplier about the risks that they are facing and the potential impact of those risks on your business operations. Ask the supplier what they are doing to mitigate those risks. Make sure that there is a clause in the service agreement that risk mitigation will be part of the services provided to you. As Olsen suggested, “It’s not about risk, it’s about best in class procurement practices that factors in risk management; it’s all about supplier performance and service quality.” A best in class supplier will make risk mitigation part of the package. As sourcing and procurement consultants, we make sure to add to the agenda service quality and other perks when discussing business with suppliers. Why not make risk management part of that discussion?